Culture shock is the understatement when you arrive in Zimbabwe from a first world country. 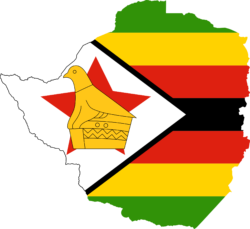 No matter how brief your time away has been you are almost immediately engulfed in the endless struggle of every day life in Zimbabwe. Nothing is simple or straightforward and it’s’ an entirely man-made mess, caused by greed, bad governance and political power. Hundreds of people were queuing outside the bank on a hot October morning. The line was two or three deep and completely filled the pavement and spilled out into the road. Groups of women were sitting on the edge of the pavement with their legs outstretched making navigation almost impossible. I joined the bank queue mayhem out of necessity not choice in order to collect a new debit card. 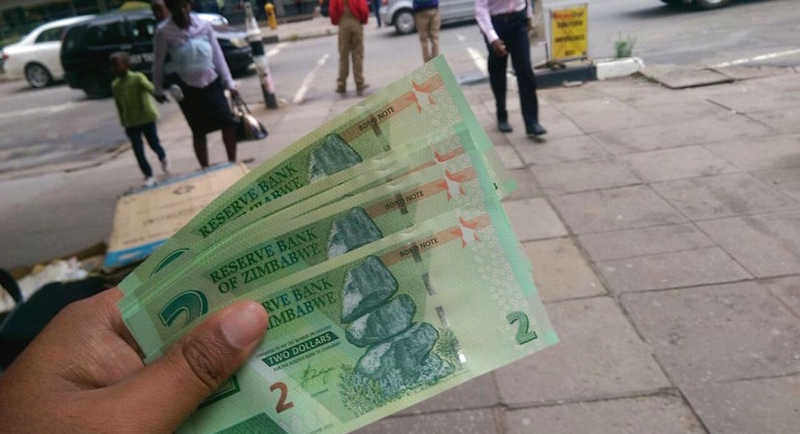 Cell phones with Ecocash and plastic debit cards which everyone calls “swipes” have become the only lifeline for people in Zimbabwe as the cash crisis gets worse and worse. Thank goodness for Strive Masiyiwa, I think, the Zimbabwean who revolutionized communications and phone baking and put it in reach of millions of ordinary people. It’s commonly accepted that if you’re not trying to withdraw money you don’t have to join the queue and so I tiptoed through the mass of humanity, outstretched legs, dusty shoes and flip flops and got to the doors. Inside the banking hall you could hardly move and even the queue for the information desk was long, winding and painfully slow. Only one teller was available for withdrawals and with hundreds of people outside it was obvious that not many would succeed in getting their own money out of the bank today. Was this a policy of the bank: to only have one teller for withdrawals? It seemed very likely in a country with no cash but cruel and unfair for desperate customers who’ve queued for hours to withdraw the bank’s daily maximum of US$20 of their own money. It took half an hour to get to the front of the line for the information desk; two minutes to get my new debit card only to be told that I now had to join another queue in order to activate my new card. I shuffled across to the other queue and tried not to think about how hot it was or how still the air was or how much valuable, productive time I, and everyone else, was wasting, not to mention the loss to the economy and the country. None of the overhead ceiling fans were on and doors and windows were firmly closed. 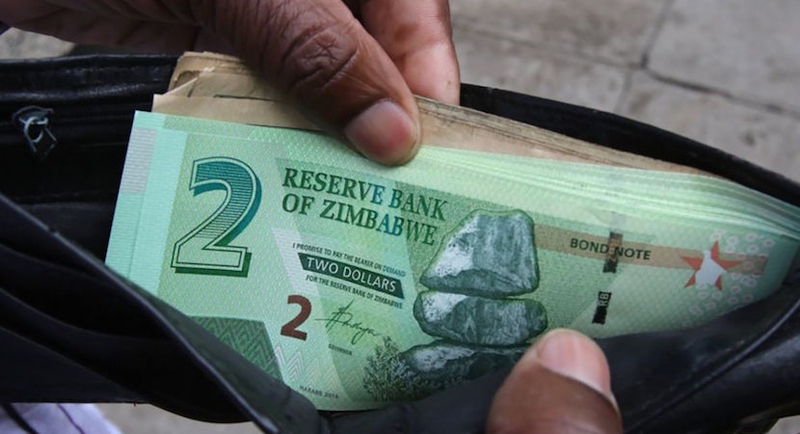 Read also: Cathy Buckle: Corruption and bond notes – the price of paradise in Africa? Here, in this banking hall, is the real face of ordinary Zimbabweans. It’s a face of exhaustion and desperation; usually a silent face hiding a simmering discontent which you know at any moment may explode at the slightest provocation. This is the second time in a decade that our own government have overseen the evaporation of our money out of our bank accounts; the same government with the same leaders. We see deposits going into our accounts but as hard as we try we can’t draw our money out. The leaders say there is no money in the country but we don’t see them standing in the queues alongside us. I wonder if they have any idea what it’s like right here, inside the bank, in the queues. Read also: Cathy Buckle: Zim pensioners bear brunt of ‘cash crisis’. But there’s hope. Forty minutes in the second queue and when I’m just three from the front a man suddenly appears and pushes in front of me. “Excuse me, there’s a queue!” I say. “I was in front of you,” he replies. “Not for the last forty minutes you weren’t,” I say. “I was sitting over there,” he says, pointing vaguely to the left. “If you’re in the queue you need to stand in the line like everyone else,” I say. He doesn’t respond. I grit my teeth, shut up and stare into his back. At the front of the queue a young woman in her early twenties is struggling to do her business. On her back she’s got one baby who is screaming and wriggling and on her hip she’s got another. Three young guys appear from nowhere and try and push in front of her; the bank teller says nothing, the Customer Service official does nothing. An older woman steps out of the queue and offers to help, holding one of the babies so that the young Mum can keep her place and withdraw her precious $20. Nearly an hour and a half later I leave the bank. The masses outside have gone because the bank’s run out of money for the day. While we stood in bank queues President Mugabe was reshuffling his cabinet. Vice President Mnangagwa is removed as Minister of Justice and the job is given to the head of the CIO. Finance Minister Chinamasa is removed from his post and given a brand new Ministry of Cyber Security. The Finance Ministry is now headed by Mr Chombo, formerly the head of Home Affairs and again I wonder: when did he last navigate the pavements, get in the queues, watch people push in and be content to withdraw just twenty dollars of his own money? Cabinet reshuffles of the same old faces are seen as a way of dampening faction fights and the growing succession war for the as yet un-vacant position of President. For most Zimbabweans it’s a non-event as we look at the bank queues and know we’ve got to go back there tomorrow, and the next day and the next. Until next time, thanks for reading, love cathy. 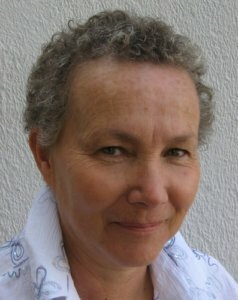 Cathy Buckle is the author of four children books. She has also written the non-fictional African Tears, the Zimbabwe Land Invasions, Beyond Tears: Zimbabwe’s tragedy, Innocent Victims: Rescuing the Stranded Animals of Zimbabwe’s Farm Invasions and Sleeping Like a Hare. The article was first published at www.cathybuckle.com.